The Hollywood Legion Post #43 was organized in 1919 in Hollywood. 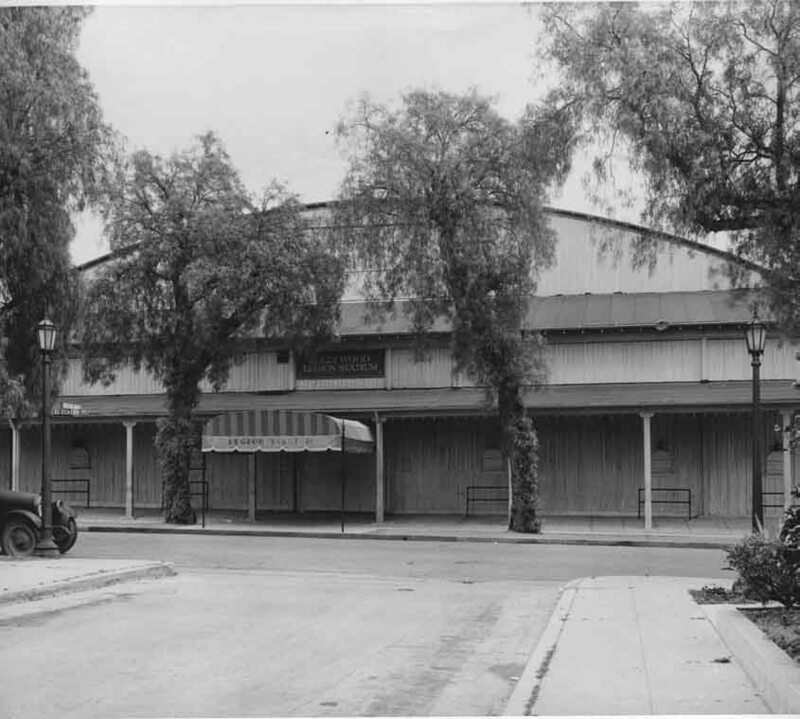 They purchased property at the corner of Hollywood Boulevard and El Centro Ave. with the idea of having a boxing arena. In 1919 the American Legion first put chairs on the dirt lot on El Centro Ave. A chicken wire fence covered with tar paper to prevent passer-bys from looking in. In 1922 the Legion erected an outdoor stadium with wooden bleachers. A year or so later the stadium was roofed and heated. It was known as the Hollywood Legion Stadium.